First published in 1971, this book was the first major survey ever made in this field. It includes all the main museum collections in the world, and enables comparative study of almost all the known jewellery from predynastic times to the end of the XXVIth Dynasty (525 B.C.) to be made. The jewellery of the ancient Egyptian civilization was of a delicacy and magnificence seldom rivalled; much has been learned by comparing the jewels themselves, and the techniques and materials of those who made them. But this book draws also on other branches of Egyptian art, since paintings and sculpture sometimes provide evidence showing how the jewellery was made and worn. 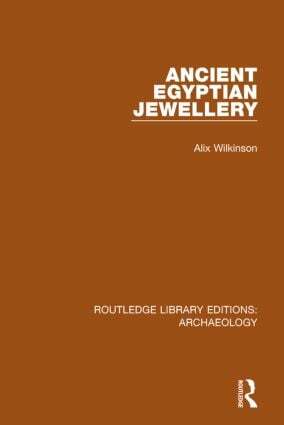 Each section opens with a brief history of the period reviewed, and an account of the manner in which the individual jewels were discovered – both of which help those readers unfamiliar with Egyptological matters. The key pieces are described in detail, and the text is generously illustrated with line drawings and plates. An indispensable reference book for all those with an interest in the art of ancient Egypt.